Join us on Friday, April 26th at Liberty North to raise funds for Seasons Centre for Grieving Children. 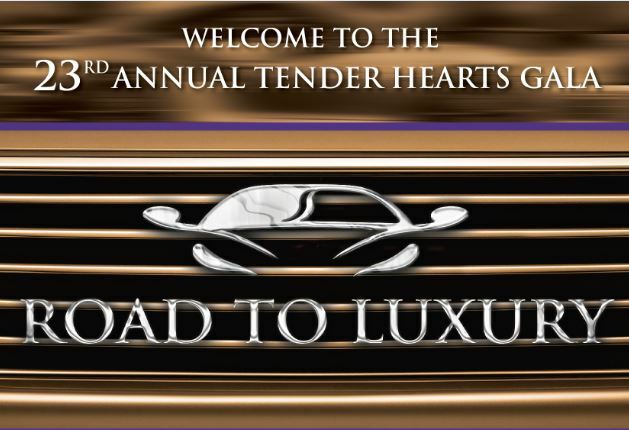 This year’s theme is THE ROAD TO LUXURY! The Gala promises our guests an evening filled with delicious cuisine, entertainment and a spectacular auction. Our house is becoming busier, with groups running every Monday-Friday evenings with a bi-weekly Sunday afternoon groups starting up in March. Seasons Centre can accommodate a maximum of 150 participants per week utilizing the current model of groups at the Centre. As you know, groups are organized according to the age of the person; the circumstances surrounding the death and the relationship to the person who has died. Your support allows us to continue to deliver activities that benefit 150 participants per week with the opportunity to learn appropriate tools and skills to work through the complexity of their grief journey. This is achieved through our peer to peer support groups that are facilitated by one staff person and trained volunteer grief facilitators who plan grief facilitated activities for each group, encourage conversations about emotions, and discuss how to deal with grief feelings. We are the only Centre in the region that is solely focused on assisting bereaved children and their families. We do not receive government funding, nor do we charge a fee for our services. We could not provide our programs without amazing supporters like you. Whether it is an auction item, sponsorship or tickets to attend – we hope you will take a look at our Sponsorship Package and consider joining us!